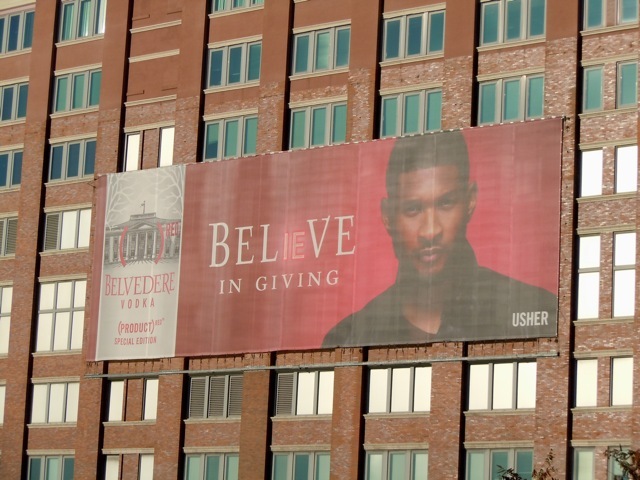 This festive season Usher is doing his bit for charity alongside Belvedere Vodka by supporting the (Product) Red initiative, which helps raise awareness and funds to fight AIDS in Africa. 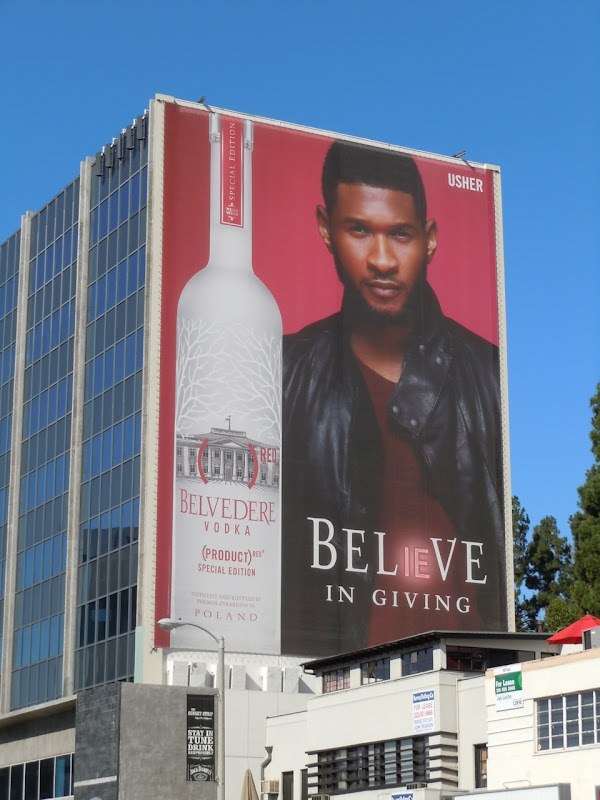 So it's the same great vodka, but in a special edition bottle with added 'Usher' for extra smoothness and stand-out. 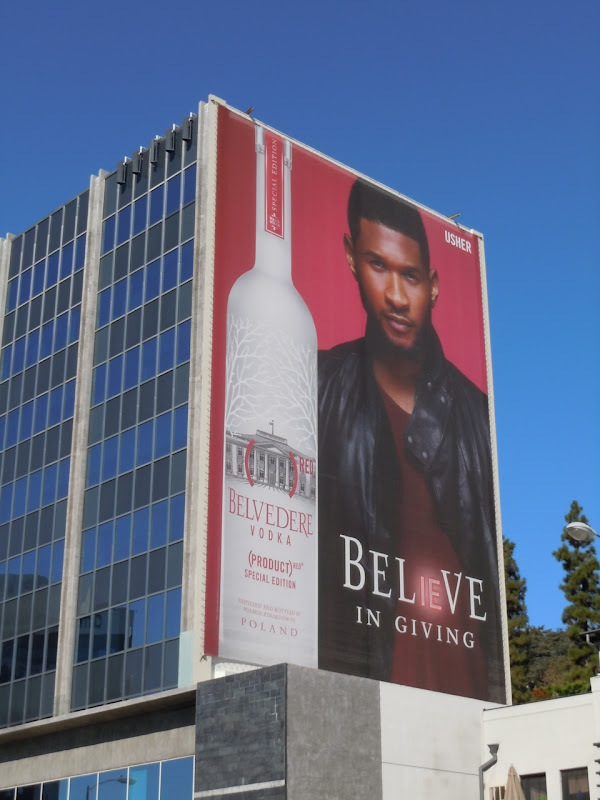 The super-sized 'Believe in Giving' billboard was snapped along L.A.'s Sunset Strip on November 2, followed by this smaller, squarer format photographed above Beverly Boulevard on November 16. Meanwhile this landscape billboard was spied from Manhattan's High Line Park in New York on November 5, 2011. Buy a bottle of this special edition Belvedere Vodka and not only can you be very merry this Christmas, but you can also do your small part for a worthwhile charity too. 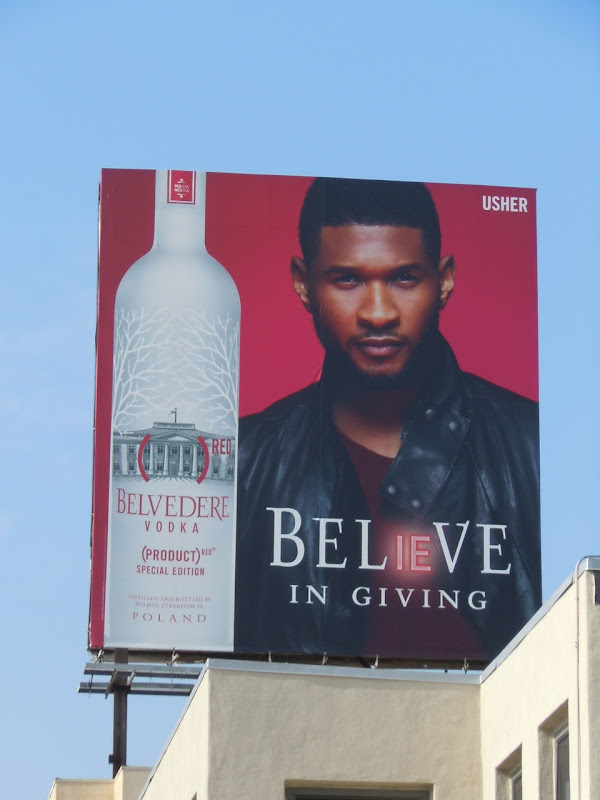 Plus if you're an Usher fan, be sure to also check out his VIP fragrance billboard from last year. Cheers!